Several recent renewables proposals have shown how the new UK government can refuse to build the nuclear power station planned for Hinkley Point in Somerset. Dong Energy suggests offshore wind backed by biomass and gas. Lightsource says solar PV could match the output of Hinkley within just two years. Forum for the Future says we could get 20GW of new capacity from farm-based renewables by 2020. But Theresa May’s delay in giving final approval to Hinkley also gives us a chance to look more holistically at future energy policy. With around 4.5 million UK households suffering from fuel poverty and over 30% of greenhouse gas emissions attributable to heat, even with 100% renewable electricity we would still need to do a lot more to cut greenhouse gas emissions from the heat sector to meet climate targets. In Aberdeen councillors have just unanimously agreed to an £11m investment to expand the City’s district heating network — offering 350 more homes the chance to save on their energy bills. Aberdeen Heat and Power (AHP) has grown substantially since it began in 2002 and currently provides heat for 2,361 flats in 33 multi-story blocks, two sheltered housing blocks and 13 public buildings. The term refers to a network of insulated pipes used to deliver heat, in the form of hot water or steam. The approach enables valuable energy – which is often wasted in power generation or industrial processes – to be captured and supplied to households, removing the need for new energy to be generated. Only about 2% of heat is supplied via heat networks in Britain compared with Denmark where 60% of the population is connected. As well as delivering significant carbon savings, district heating systems cut energy costs — heating a flat via a gas-fired network costs around 30 % less than it does using an individual gas boiler. The Scottish government has a target to meet the equivalent of 100% of electricity demand with renewables by 2020. Although it is beginning to look like it may only manage about 87%, thanks mainly to Westminster’s cut in subsidies, the government is already seriously considering setting a target of providing 50% of Scotland’s energy – as opposed to just electricity – with renewables. Research carried out for WWF Scotland suggests around 350,000 Scottish dwellings need to be connected to a (renewables-fed) district heating network by 2030 – equivalent to 50% of all households in Aberdeen, Dundee, Edinburgh and Glasgow – to meet climate targets. District heating networks can be fed with heat from a range of sources from gas-fired and biomass-fired Combined Heat and Power (CHP) stations which also generate electricity, to deep boreholes which extract geothermal heat from underground. In Glasgow heat is being captured from trapped water in old flooded coal mines via heat pumps. In Lerwick Shetland Heat and Power is hoping to extend its heat network by installing a 2MW heat pump made by Star Renewables in Glasgow to abstract heat from Lerwick Harbour. In the London Borough of Newham there are plans to harness the energy from ‘fatbergs’, the bus-size balls of grease which cost Thames Water an estimated £1 million a month to remove from its sewers. Despite enthusiastic support for energy storage technology both sides of the political spectrum – including The Telegraph right – the government is yet to be convinced we can cope with a high percentage of intermittent renewables. This is where CHP-district heating networks could be crucial. In Germany, for instance, as wind and solar PV take on a greater proportion of total electricity production, CHP plants are expected to take on the role of providing more flexible electricity generation. At the moment CHP plants focus on meeting the demand for heat. Electricity production is seen as a useful by-product. But in future the focus will switch to providing electricity when the output from wind and solar is low. On the other hand district heating systems could absorb large quantities of surplus electricity by using heat pumps to heat water which can be stored for use later. This means CHP district heating networks could be used to balance power grids in order to compensate for fluctuations in renewable output becoming the backbone of a new sustainable energy system. The UK Government currently expects most of our heating to be converted to electricity helping to double demand by 2050. But as Labour’s new ‘Green Gas Book‘ points out electricity distribution networks couldn’t cope with the huge fluctuations in demand on a really cold winter’s day without extensive upgrading. On top of that every household with gas central heating would have to rip out their boiler and radiators and install a completely new system probably using ground or air-source heat pumps. This would be extremely expensive for each individual consumer and most people probably couldn’t afford it without massive subsidies. And why would we want to ditch the UK’s gas distribution grid, developed over many years and only recently upgraded with new pipes anyway? For those households unable to connect to a district heating network, the option of being able to use ‘green gas’ supplied by the gas grid offers further opportunities to make use of surplus renewable electricity. The UK now has 617MW of biogas capacity — enough to power 800,000 homes. The bio-methane sector has only just started to develop and has significant scope to increase the production of green gas. And ‘Power to Gas’ technology could make use of excess electricity generated from renewables to generate hydrogen gas by the electrolysis of water which could then be fed into the gas grid. 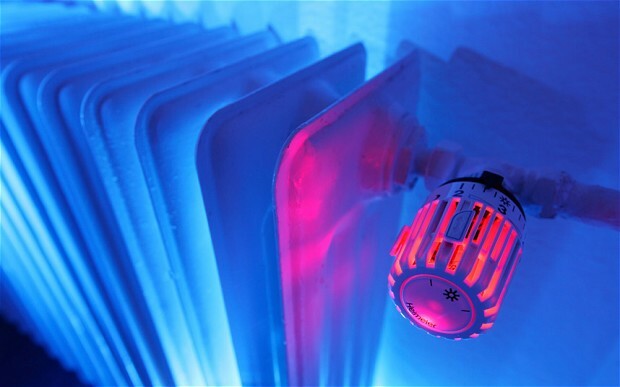 We need to do a lot more to reduce carbon emissions from the heat sector anyway, and we need to tackle fuel poverty. Rather than continuing to waste surplus renewable electricity, ditching the recently modernised gas grid and hoping against all the evidence that we can get the exorbitantly expensive nuclear programme up and running in time to start replacing our fossil-fuel powered domestic heating systems, a combination of new district heating networks and green gas could help balance renewable electricity and reduce emissions from the heat sector — solving two problems at the same time.